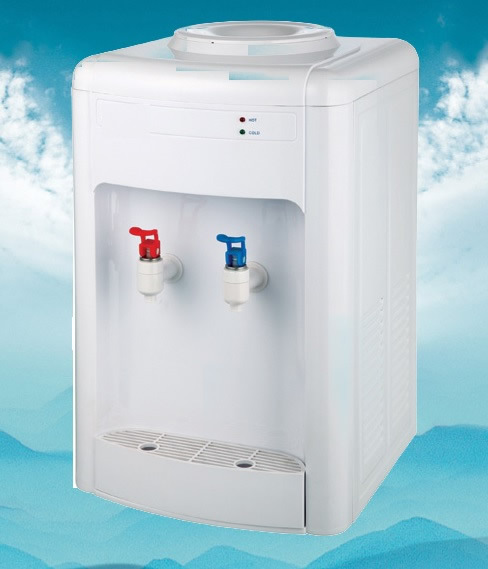 Half Desktop type water dispenser in white colour. Elegantly designed to fit the dιcor in kitchens,executive boardroom and office. Cold and hot water. Capacity of hot water :6L/H. Capacity of cold water:1L/H. Dimensions: 35x33x57. Voltage (V): 220. Power (W): Hot water 550; cold water 90.